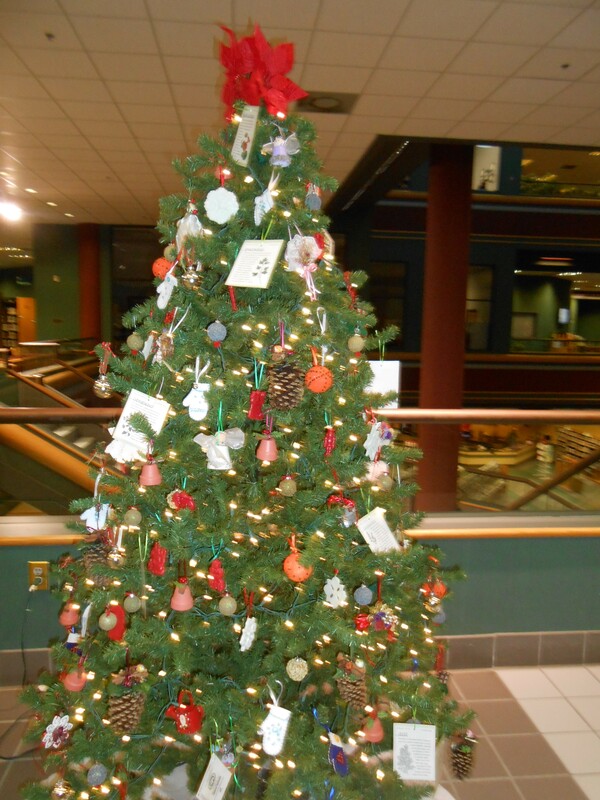 A few of us decorated the tree last Saturday with home made and herb ornaments. Seed packets that have been laminated and sprinkled with sparkles, pine cones, styrofoam balls painted orange with pieces of cloves stuck all over, tiny angels, cut out snow flakes, tiny mittens cut out of felt and decorated with buttons, and my favorite-a large dried okra pod with tiny pearls and ribbon. So, you can make a lovely tree with very little expense. Go do it!